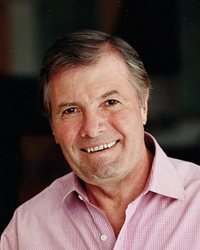 Cooking legend Jacques Pépin offers a fun and thrifty homemade holiday gift to give, his favorite places to visit on a holiday trip to Connecticut and a surprising strategy for cooking for a crowd. I like to give candied citrus peel: orange, lemon, lime, sometimes grapefruit, which we put in little jars to give to friends. Sometimes we dip the peels halfway in chocolate, sometimes we don’t. You dip them after the peels have been candied, pressed in dry sugar and completely air-dried. You can use white chocolate for lime peel, dark chocolate for orange. We’ve done that for many years. Champagne, without question. But we do a few drinks here and there. I do one inspired by Julia Child’s husband, Paul Child, who did something similar with gin. I call mine a Reverse Manhattan, with bourbon and vermouth in the opposite ratios as in a real Manhattan: several ounces of sweet vermouth, a lot of ice and a wedge of lime, with only 1 or 2 tablespoons of bourbon. I like a regular Manhattan, too, but this one’s easier to drink. For many years I’ve used an American vermouth from California called Gambarelli & Davitto. It’s got a slight bitterness and a nice sweetness, and I’ve used it for so long now, I guess I’m used to it, but you can use any French or Italian sweet vermouth. Can you give one great entertaining tip? Plan your menu, and you can do a lot ahead, if you plan correctly. I read somewhere that it’s impossible to cook well for more than 10 people. And it’s true in many ways. On the other hand, if you ask me if I can do something for 1,500 people, I’ll say yes, but what am I going to do? I’m going to buy 10 prosciutto legs and smoked salmon and the best possible cheeses and nuts I can find for a big buffet. Am I going to cook anything? No. If it’s for 300 people, maybe I’ll cook something. By the time it gets to 30 or 40 people, I may do three-fourths of the meal, and so forth. It’s a question of what you can do and what you cannot. I’ll do a class on raspberry soufflé, and a student will come back and say how she hosted a party for eight people and the soufflé was fantastic. But then she throws a party for 25 people, and the soufflé is a disaster! Then you need four soufflés, to juggle the oven, the timing. What are 4 don’t-miss places on a holiday trip to Connecticut? There’s a lovely, typical French bistro here in Madison called Bar Bouchée. It’s very cute, and they have the classic fare from pike quenelles to snail to steak tartare. You know exactly what to expect, the food is good, and they have a great wine list. The same people own Union League Café in New Haven, it’s much larger and fancier, but it’s a beautiful place with great food. That’s where we usually do New Year’s Eve. The town of Chester, Connecticut, is very picturesque, and there are a lot of decorations, people put up lights and flowers, so that’s a good place to visit in the wintertime. The Bee and Thistle in Lyme, Connecticut, looks like an old British inn, full of antiques, and the food is quite good. What is a typical menu for a holiday feast at the Pépin house? For the holidays, we always do poultry of one kind or another, like capon, or goose if I can find a good goose, then braised chestnuts, and as long as we can find them, we have oysters or some kind of pâté or terrine, which sometimes I make, sometimes I buy. For dessert we have a bûche de Noël, the classic Christmas log. Maybe hard-cooked eggs. When I was a kid, my mother made a dish that I call Eggs Jeanette: a hard-cooked egg cut in half, the yolk taken out and mashed with a lot of garlic and parsley with salt, pepper and a tablespoon or so of milk. Then the eggs are restuffed and sautéed, stuffed side down, in a skillet with olive oil. They brown very fast. Then you have a little bit of the stuffing leftover, which we make into a mustard sauce to serve with it. I’ve never seen that dish anywhere, so it’s kind of a signature dish, if you want. Do you have a favorite cookbook of all time? If I need to look at certain things in French, I probably would look at Larousse Gastronomique; for American cooking, Joy of Cooking. But in general it’s hard for me to cook out of a cookbook. I have to write recipes because that’s what I do for a living, but the pleasure for me is to cook without one, to go to the market and cook what I find there. I suppose it should be how to sharpen your knife properly. But technique in general is very important for me. Two of my books, La Technique and La Méthode, are being reprinted this winter with new color photographs, in Jacques Pépin’s New Complete Techniques I first published them 40 years ago. I don’t cook the way I did 40 years ago, but the techniques—how to bone a chicken, how to cook an omelet—haven’t changed. With knife sharpening as with anything, it’s a question of repeat, repeat, repeat, so that they become part of yourself, so you don’t have to worry about it anymore.